Pediatric primary care provides a unique opportunity to tackle child abuse and neglect. In the United States in particular, primary care is a well-established system, and most children have multiple visits, especially in the first few years. There is typically a very good relationship between parents and health professionals, who are respected experts on children. The interested pediatrician, thus, has a remarkable entrée into the workings of a family, its shortcomings, and its strengths. With some knowledge and skill, pediatricians can play a pivotal role, even in a few strategic minutes. We know, however, that some professionals feel very uncomfortable becoming involved in this unpleasant area and may be deterred from taking any action. Understandable as this may be, it can jeopardize a child’s health and safety. 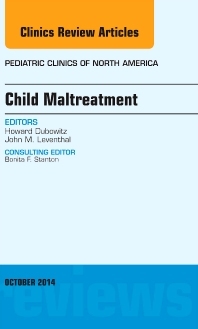 Hopefully, this issue of Pediatric Clinics of North America will help make this work a bit easier, albeit not easy. With training and support, pediatricians can equip themselves to be competent and more comfortable addressing child maltreatment. Aside from the possible forensic implications, the heart of this work is primarily about helping families take adequate or good care of their children. Indeed, helping address child abuse and neglect also helps promote children’s health, development, and safety, and it is central to the rich mandate of Pediatrics.